Freezing weather in Houston again meant Thursday night at home. After our plans were cancelled in the afternoon, I decided to start some chili in the slow-cooker in anticipation of an evening with the kids and a night of TV. 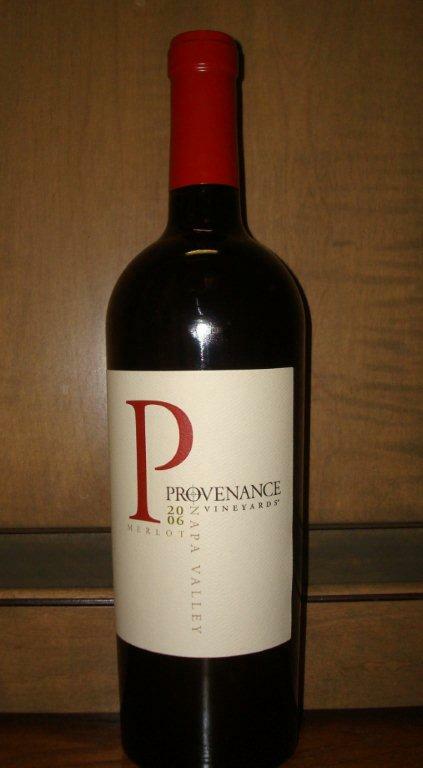 I opened a bottle of the 2006 Provenance Merlot from Napa Valley to serve with it. In the glass, the wine was a ruby red color with medium intense aromas of black cherry, plum and nutmeg. It was nicely structured with a medium+ body, 14.5% abv and medium+ tannins and acidity balancing cranberry and pomegranate flavors with a smooth, touch of cocoa medium+ length finish. A good wine at approximately $30.